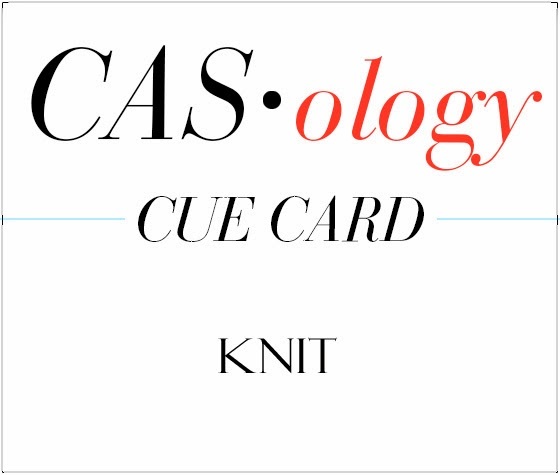 This week's CASology Cue Card is Knit! What a perfect cue card for this time of year (at least here in Toronto where it's been very, very cold this past week!). I used a knitted scarf from Papertrey, an alphabet from MFT and a little 'wishes' from Clearly Besotted. I love to mix up my stamps to create something that the makers of the stamps never envisioned. The scarf was intended for a snowman and my original thought was to make a snowman card. Then I thought that maybe the scarf could keep something else warm. Like the word 'warm'. Once I got the letters out, I immediately saw where the scarf would look best and stamped the scarf in Poppy Parade and then masked it before stamping the letters in Soft Suede. The similarity of the Clearly Besotted 'wishes' font made it the obvious choice to finish off the card. Now it's your turn! But before you go, check out what all the other DT members came up with for your inspiration! I'm also linking up to Keep It Simple's Warm challenge. As always a totally creative, amazing card Ardyth! Wow! Absolutely adorable! Love that sweet little scarf! This is so amazingly clever! what a perfect masking Ardyth! 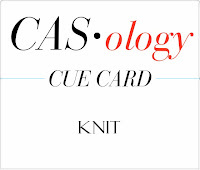 at first I thought you had cut out the scarf and laid it over the letters - a very creative idea for Knit! I absolutely adore this, Ardyth. Very creative, Ardyth! Love it! So creative! Love the red and brown together...not a combination I see very often, but it works so well!!! OHHHHHHHHHHHHHHHH MY! I love love love love love love this card! I LOVE your clever masking and stamp combining! YOU ROCK!!!!!!!! LOVE! Yes...Rosemary said it best right off the hop...CRAZY AMAZING!!! Then Savannah said it perfectly in her words....YOU ROCK! My words: Ditto on above! So very creative! I love the little scarf! This is crazy mad stamper genius at its CAS Most brilliant!!! This card shines so bright in its creative wittiness!!!! Oh, and happy mail love was received, a lovely "Joy"ous card was so happily placed in a little shelf of honor, love it so, thank you dearly!! AMAZING! That scarf looks so real, I honestly thought it was a diecut! This is just brilliant. And, a fabulous way to combine those different stamps. It really looks like it was all meant to go together.